Northeast Philadelphia Homes for Sale: Newly Priced in Morrell Park! NOW ONLY 185,000! 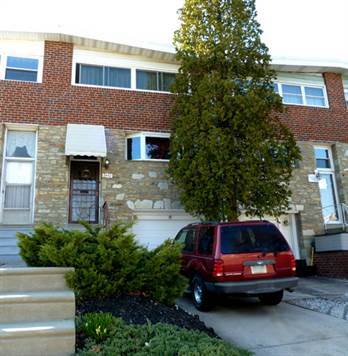 Morrell Park, Philadelphia – Announcing a price reduction on 3662 Morrell Ave, a 1,296 sq. ft. (PLUS Full, Finished Basement), 2.5 baths, 3 BRs, garage, 2 car driveway, fenced yard and more! Now Only MLS® $185,000– Turn Key! OPEN HOUSE 5/15 FROM 1-330!! Most Morrell Park homes have a staircase in the middle of the living room and dining room, seperating the two rooms and closing off the space … Not this home! This is a Rarely Offered “Reverse Straight Thru” with Open Floor Design in “Move In” Turn Key Condition! Open Floor Plan... "Wall of Glass"
Living Room has beautiful views of the yard as the entire back wall is thermal, double paned (new) glass and sliding doors (a must see). Yard is ground level with the 1st floor and features awning covered patio, shed and is almost maintenance free as there is 1/4″ River Jack Stone covering for easy living. Newer Carpets T/O. Original hardwood floors under carpets t/o. All new thermal double paned windows T/O! Updated Eat In Kitchen, Built In wall oven, dishwasher, cooktop, G/D. Kitchen features huge Anderson Bay Window and plenty of storage. Formal Dining Room open to Living Room. 3 Large Bedrooms with big closets. Master Bedroom Suite features his and hers closets and private modern, new, ceramic tiled full master bath w/Skylight and brushed nickel fixtures. 2 Other baths: Full, Updated C/T Main Bath in Hall w/Skylight and a 1st Floor (Main Level) Updated Powder Room with New Pedastal Sink and Fixtures . Basement is finished and being used as an office and playroom, would also make a great “man cave” or exercise room, additional family room, etc. There is also a laundry room and interior access to 1 Car Garage. 2 Car Parking in Driveway + Street Parking. C/A, Forced Air Heat (Gas), Gas Cooking and Ceiling Fans in all bedrooms complete this home. Mitchell Playground in Morrell Park, Free Community Pool! Walk to Elementary School, Playground with FREE community pool, shopping, transportation and so much more! Check out this home today! Newly priced at 185,000! Northeast Philadelphia Homes for Sale: Newly Priced in Morrell Park! Morrell Park, Philadelphia – Announcing a price reduction on 3662 Morrell Ave, a 1,296 sq. ft. (PLUS Full, Finished Basement), 2.5 baths, 3 BRs, garage, 2 car driveway, fenced yard and more! Now Only MLS® $189,900– Turn Key! Most Morrell Park homes have a staircase in the middle of the living room and dining room, seperating the two rooms and closing off the space … Not this home! This is a Rarely Offered “Reverse Straight Thru” with Open Floor Design in “Move In” Turn Key Condition! Living Room has beautiful views of the yard as the entire back wall is thermal, double paned (new) glass and sliding doors (a must see). Yard is ground level with the 1st floor and features awning covered patio, shed and is almost maintenance free as there is 1/4″ River Jack Stone covering for easy living. Newer Carpets T/O. Original hardwood floors under carpets t/o. All new thermal double paned windows T/O! Updated Eat In Kitchen, Built In wall oven, dishwasher, cooktop, G/D. Kitchen features huge Anderson Bay Window and plenty of storage. Formal Dining Room open to Living Room. 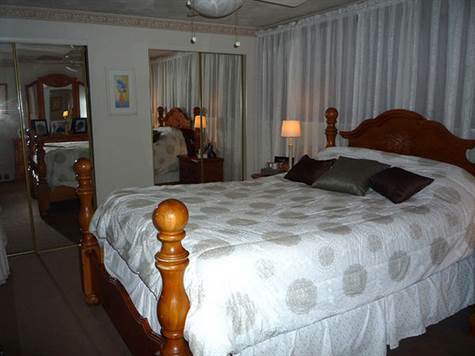 3 Large Bedrooms with big closets. Master Bedroom Suite features his and hers closets and private modern, new, ceramic tiled full master bath w/Skylight and brushed nickel fixtures. 2 Other baths: Full, Updated C/T Main Bath in Hall w/Skylight and a 1st Floor (Main Level) Updated Powder Room with New Pedastal Sink and Fixtures . Basement is finished and being used as an office and playroom, would also make a great “man cave” or exercise room, additional family room, etc. There is also a laundry room and interior access to 1 Car Garage. 2 Car Parking in Driveway + Street Parking. C/A, Forced Air Heat (Gas), Gas Cooking and Ceiling Fans in all bedrooms complete this home. Walk to Elementary School, Park with Playground and Free Pool, and Shopping! Great Location! Announcing a price reduction on 3662 Morrell Ave, a 1,296 sq. ft., 2.5 bath, 3 bdrm, 2 stories Plus a Full Bsmt w/LaundryRm and Inside Garage Access. Now MLS® $190,000! – Recently Updated T/O! 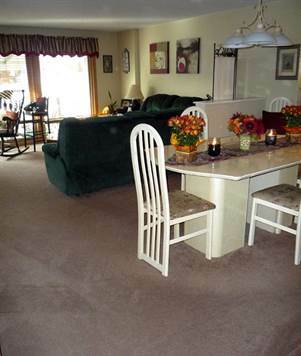 Rarely Offered Morrell Park Reverse Straight Thru – Open Floor Design. Move In Condition! All new thermal double paned windows T/O! Updated Eat In Kitchen, Appliances included are Built In Wall oven, dishwasher, cooktop, G/D. Kitchen features huge Anderson Bay Window and plenty of storage. Formal Dining Room which is open to Large Living Room where you have beautiful views of your yard as the entire back wall is glass and sliding doors (a must see)! Newer Carpets T/O. Original hardwood floors under carpets t/o. Yard features awning covered patio, shed and is almost maintenance free as there is 1/4″ River Jack Stone instead of lawn for easy living. 3 Large Bedrooms with big closets. Master Bedroom Suite features his and hers closets and private modern, new, ceramic tiled full master bath w/Skylight and brushed nickel fixtures. 2 Other baths: Full, Updated C/T Main Bath in Hall w/Skylight and a 1st Floor (Main Level) Updated Powder Room with New Pedastal Sink and Fixtures . Basement is finished and being used as an office and playroom. There is also a laundry room and interior access to 1 Car Garage. 2 Car Parking in Driveway + Street Parking. C/A, Forced Air Heat (Gas), Gas Cooking and Ceiling Fans in all bedrooms complete this home. Walk to Elementary School, Park with Playground and Free Pool, and Shopping! Great Location! SPECIAL BUYER INCENTIVE! Use Sun Home Loans to purchase this home and they will waive the origination fee of 499.00! (Typical cost for a loan is on average 1% of the loan amount, or more. Sun Home Loans is a flat 499.00. Linda Young, loan originator, will waive this fee ON THIS HOME ONLY!) 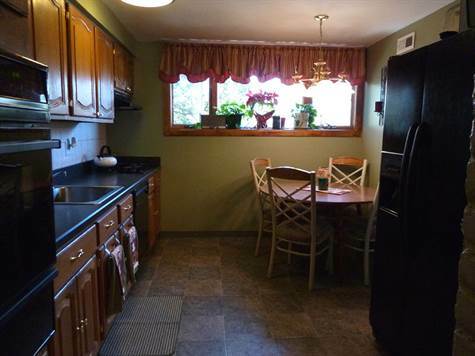 Also, if the buyer likes, the seller will give the buyer the dining room set, seats 6-8, plus lighted hutch. Perfect if you are just starting out! Call today! 215.335.6900 Please Ask for Jack Simpson! • 2.5 Bath, 3 BRs, 2 Story PLUS Full Bsmt w/LaundryRm, Garage Access – MLS® $197,000 – Recently Updated T/O! Morrell Park, Philadelphia – Rarely Offered Morrell Park Reverse Straight Thru – Open Floor Design. Move In Condition! All new thermal double paned windows T/O! Updated Eat In Kitchen, Appliances included are Built In Wall oven, dishwasher, cooktop, G/D. Kitchen features huge Anderson Bay Window and plenty of storage. Formal Dining Room which is open to Large Living Room where you have beautiful views of your yard as the entire back wall is glass and sliding doors (a must see)! Newer Carpets T/O. Original hardwood floors under carpets t/o. Yard features awning covered patio, shed and is almost maintenance free as there is 1/4″ River Jack Stone instead of lawn for easy living. 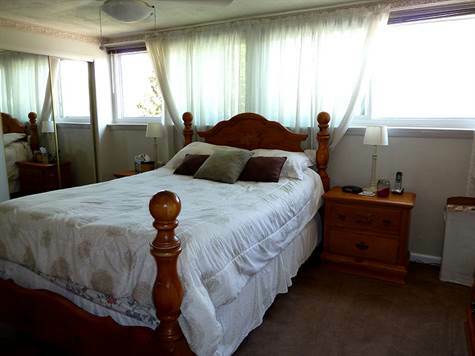 3 Large Bedrooms with big closets. Master Bedroom Suite features his and hers closets and private modern, new, ceramic tiled full master bath w/Skylight and brushed nickel fixtures. 2 Other baths: Full, Updated C/T Main Bath in Hall w/Skylight and a 1st Floor (Main Level) Updated Powder Room with New Pedastal Sink and Fixtures . Basement is finished and being used as an office and playroom. There is also a laundry room and interior access to 1 Car Garage. 2 Car Parking in Driveway + Street Parking. C/A, Forced Air Heat (Gas), Gas Cooking and Ceiling Fans in all bedrooms complete this home. Walk to elementary school, community park with playground and pool, shopping and major hospital. Great Location! Owner is a licensed PA Real Estate Agent. This One Is NOT Going to Last!